How to set up your iOS device to take payments. 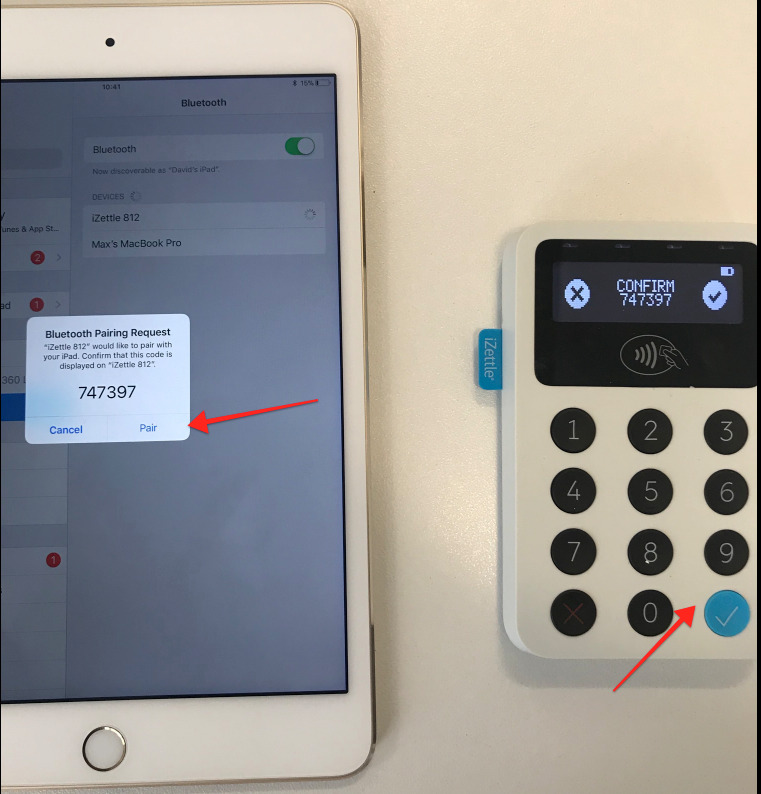 In order to start taking payments on site at your event, you will need to set up your iZettle terminal with your iOS device. It is a very easy set up and will take you less than 5 minutes. Please note, to use iZettle together with TicketCo you have to activate the iZettle in your TicketCo app. See step 7 below. 2. 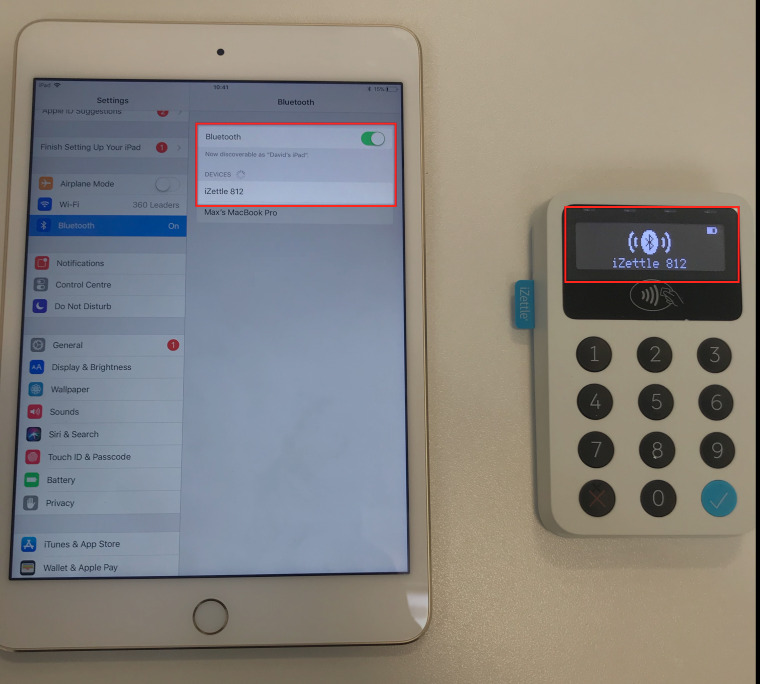 Activate Bluetooth on the card reader and iPad- Press and hold the blue "tick" button for 5 seconds until it beeps and you see the Bluetooth icon on on the iZettle display. 3. 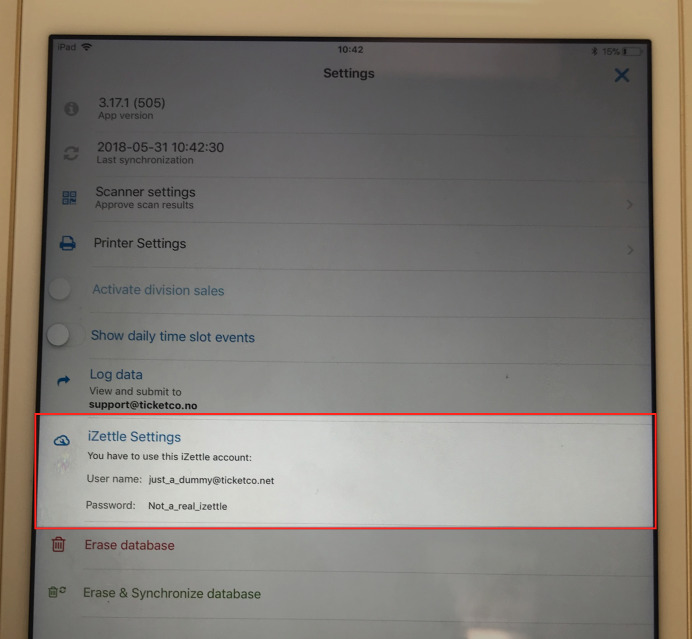 Activate Bluetooth on your iOS device (iPad/iPhone/iPod touch) - Go to settings on your device, turn on the Bluetooth - Wait until "iZettle ###" shows up on the list, and select it to begin to connect. 4. Confirm connection on the card reader - Confirm the connection on the card reader by pressing the blue "tick" button. 5. Confirm connection on your iOS device - Wait a few seconds and select "Pair" on the iOS device. 6. Open the TicketCo app - If you haven't already download the "TicketCo - Event Organiser App" and login using your TicketCo credentials. 7. Activate iZettle sales - Go to "settings" in the TicketCo app. Here you will find a setting called "iZettle settings". You will now see an iZettle username and password. Note the password down, and click "iZettle settings". Fill in the password section with the password, and press "Log in". You have now activated your iZettle sales on this device. You only have to do this once per unit. 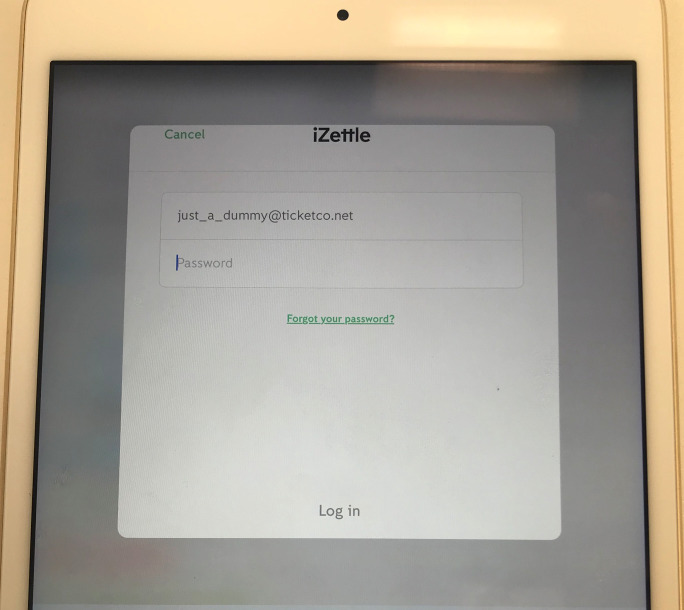 If you are using several devices, it is the same iZettle username and password for all devices. 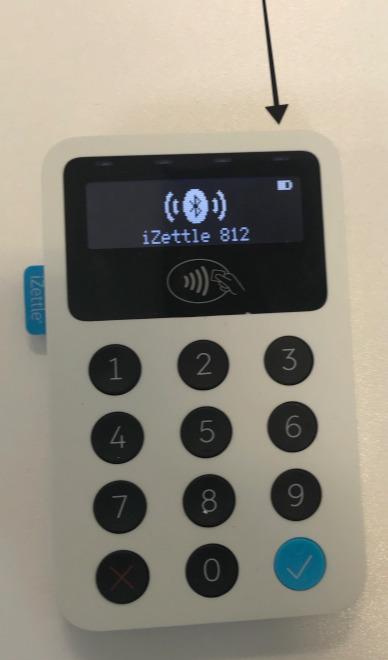 If you can not find your iZettle username and password on "iZettle Settings" please contact us at help@ticketco.uk.